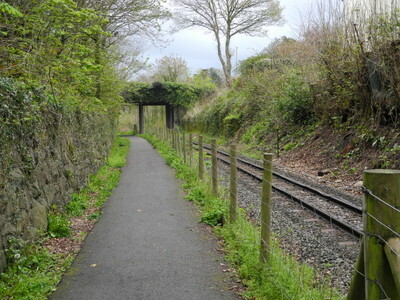 At Coed Helen road bridge the routes suddenly diverge, with the Nantlle line turning sharply to the left through a short tunnel. 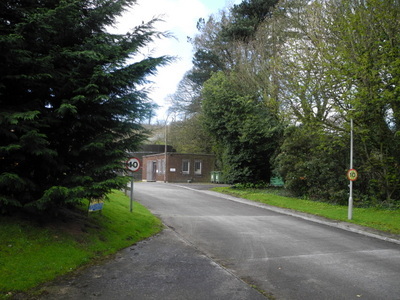 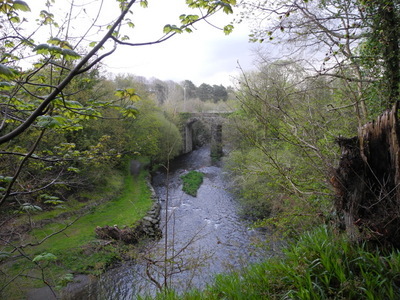 The arch of the Coed Helen tunnel can just be discerned on the left flank of the road bridge above the bank of spoil. 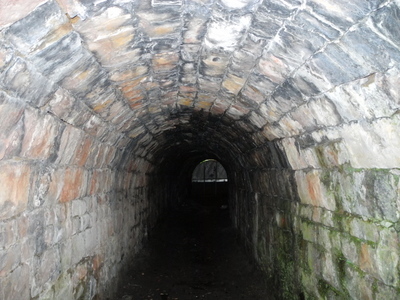 The tunnel is stone lined, in contrast to the brick of Plas Dinas tunnel. 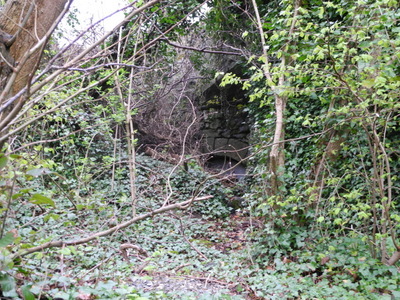 The north portal is fully visible and well preserved. 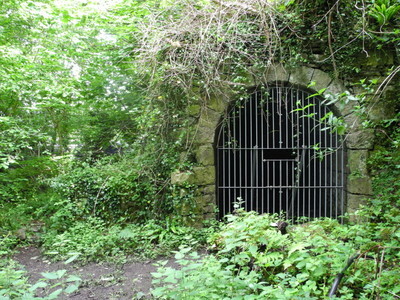 Both portals have been sealed off in recent times, the north portal with a steel grid. 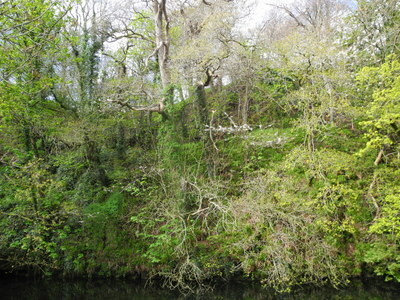 After the tunnel, the line runs alongside the Afon Seiont on a shelf carved high above the river. 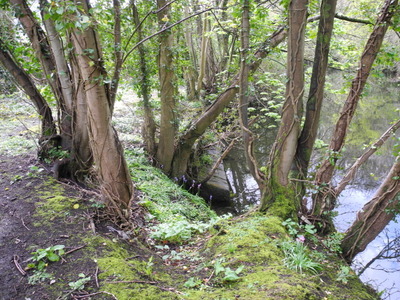 The shelf ends opposite the sewage works. 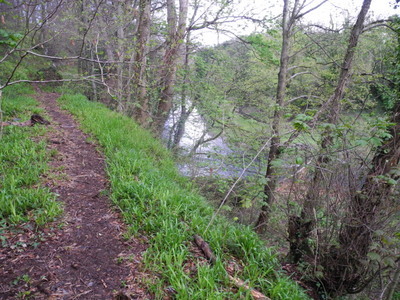 At this point was a bridge, long since been removed. 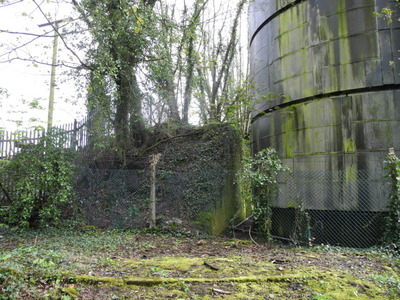 The bridge carried the line across the river to an embankment on the north side, possible remnants of which are to be seen beside this storage tank. 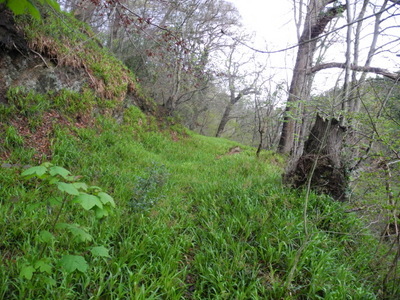 A line of stonework remaining among the trees on the river bank might have been part of the bridge abutment. 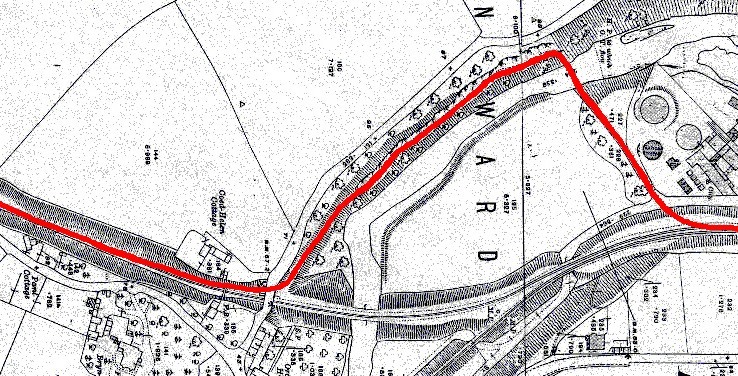 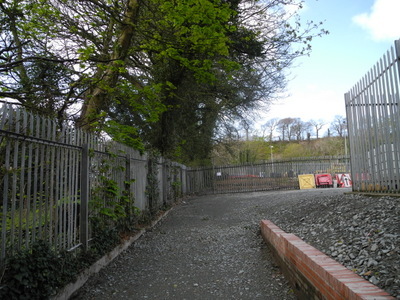 The line continued on an embankment which is probably marked by this line of trees, crossing St Helen’s Road by another bridge which was demolished in 1879-80.